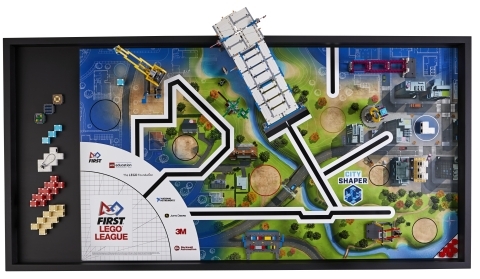 Today at the FIRST® Championship, LEGO® Education and FIRST unveiled two new, exclusive LEGO sets created specifically for the 2019-2020 FIRST® LEGO® League Jr. and FIRST® LEGO® League season. LEGO Education also announced today that its newly released LEGO Education SPIKE™ Prime with the new SPIKE™ Prime Competition Expansion Set can be used along with LEGO® MINDSTORMS® Education EV3 in FIRST LEGO League. LEGO Education SPIKE Prime and the SPIKE Prime Expansion Set can be pre-ordered today in the U.S. and will be available around the world in August 2019. Accomplished inventor Dean Kamen founded FIRST ® (For Inspiration and Recognition of Science and Technology) in 1989 to inspire an appreciation of science and technology in young people. Based in Manchester, N.H., FIRST designs accessible, innovative programs to build self-confidence, knowledge, and life skills while motivating young people to pursue opportunities in science, technology, and engineering. With support from over 200 of the Fortune 500 companies and more than $80 million in college scholarships, the not-for-profit organization hosts the FIRST® Robotics Competition for students in Grades 9-12; FIRST® Tech Challenge for Grades 7-12; FIRST®LEGO® League for Grades 4-8; and FIRST® LEGO® League Jr. for Grades K-4. Gracious Professionalism ® is a way of doing things that encourages high-quality work, emphasizes the value of others, and respects individuals and the community. To learn more about FIRST, go to www.firstinspires.org.